The Vancouver Police Department is actively hiring for the position of Special Municipal Constable. In this role, you can work as a Community Safety Personnel member, as a Jail Guard, or as Traffic Authority member. 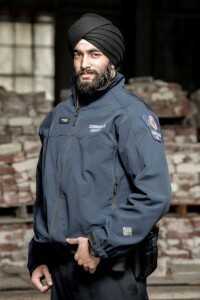 Special Municipal Constables are appointed under the Police Act; they have restricted peace officer status and perform specific authorized duties, but are not police officers. These positions are challenging and will help you improve your communication skills, your problem-solving abilities, and allow you to gain valuable police-related work experience. This can help prepare you for future careers within the criminal justice system and increase your competitiveness as an applicant. Many VPD officers began their careers as a Special Municipal Constable. For some it was a chance to mature and gain more life and work experience, while for others it was a great employment opportunity while going to college or university. It can also become a lifelong career. Community Safety Personnel assist patrol officers in their daily functions by doing various tasks, such as picking up statements, providing outside perimeter security at police incidents, and assisting with the transportation and tagging of property. They also provide logistical support during large-scale deployments, major events, emergencies, or disasters. • serving court documents on prisoners and completing all necessary forms and reports. 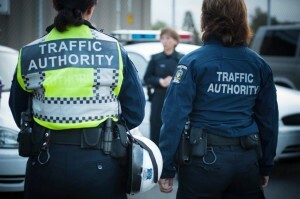 Traffic Authority Members serve with dedication and commitment, upholding the professionalism and standards of the Vancouver Police Department. They perform specific authorized duties, primarily directing vehicle and pedestrian traffic at public, private, and community events. Member work outdoors in all weather conditions and are often called upon to work at large events like concerts, sporting events, and the annual Celebration of Light fireworks festival. The nature of the work means a lot of time on their feet and working around vehicle and pedestrian traffic. The position appeals to those who are only interested in part-time auxiliary employment. There are no set hours for shifts – it’s based on your own availability, which you can base around your own work or school schedule. Upon successful completion of training program, you will be sworn in as a Special Municipal Constable, eligible to begin working shifts. Starting wages range from $22.00 to 24.49 per hour, depending on the position.